Add the scapes, swiss chard, almonds, cheese and salt to the bowl of a food processor. Process to desired consistency. While running, drizzle the olive oil in a thin stream down the shoot and into the food processor. 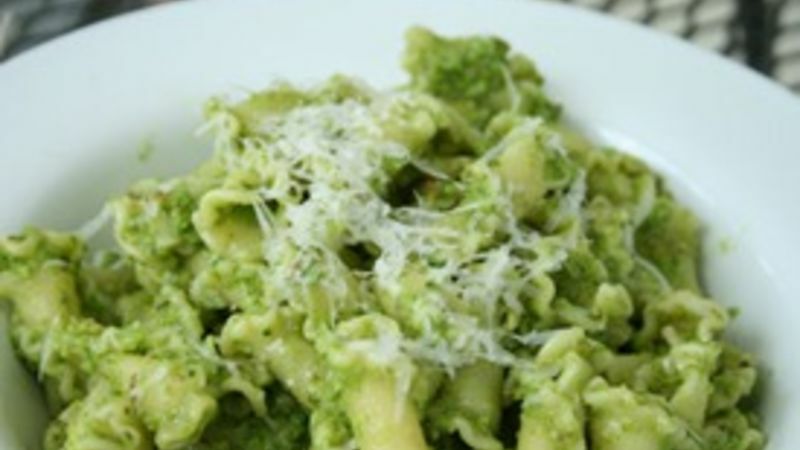 Spoon pesto onto hot, cooked pasta and stir until combined. Alternatively, this can be used as a spread on bread (for sandwiches, with fresh mozzarella or just eating).